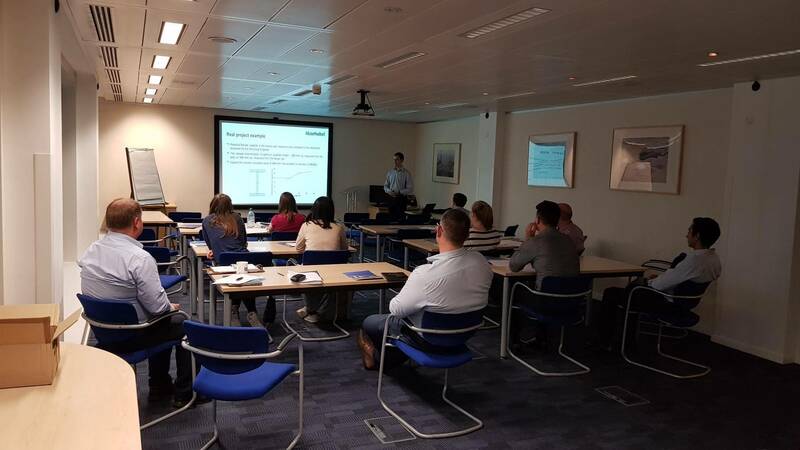 The 5th branch event of 2018 took place on Tuesday 29th May 2018 with 46 attendees and with 29 CPD Certificate’s issued on conclusion of the Event. The evening opened with a short AGM and election of a new committee for 2018-2019 session. Next year’s Technical Meetings will be held at a new venue – The Robert Gordon University (RGU). 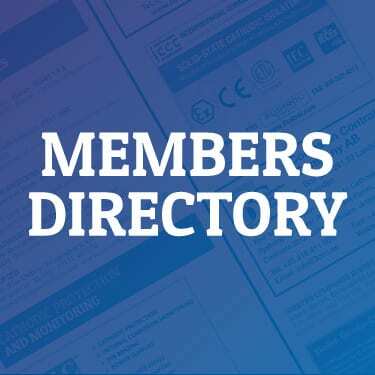 In terms of the committee members, Aberdeen Branch have secured continued commitment from all the existing 2017/2018 members. In addition, we have elected a new committee member, Ms. Zahra Lotfi (MICorr, CEng) who will service the branch from the 2018/2019 session. Also the branch welcomed back a former committee member, Dr. Muhammad Ejaz who took a sabbatical year in the 2017/2018 session and has returned for the 2018/2019 session. 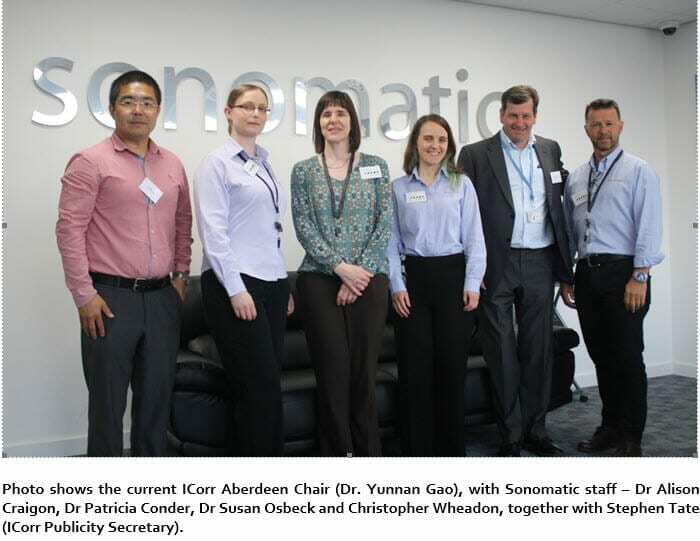 This month’s meeting was a very informative Industrial Visit to Sonomatic (ABZ), with many Presentations and showcasing Specialist Equipment and Facilities for Overcoming / Identifying Corrosion and Integrity Challenges. 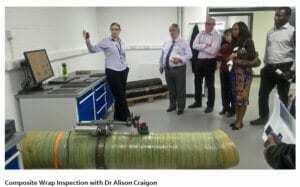 It was a wonderful opportunity to witness so many different inspection technologies on display together and it was greatly appreciated by all who came along. 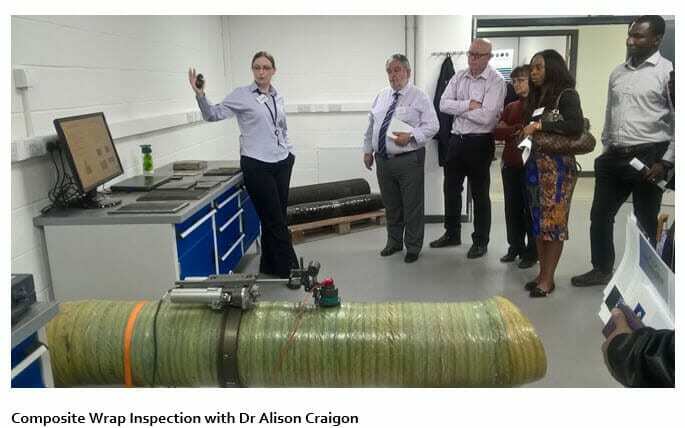 It was also very interesting to hear about the Links between Industrial NDT as used extensively in the Oil and Gas Industry and Medical applications of these advanced techniques. Type A – No Corrosion likely and Minimum Inspection Requirements / Coverage. Type B – Predictable Corrosion Locations / Moderate Rates and Medium Inspection Requirements / Coverage. Type C – Unpredictable Corrosion Locations / High Rates and 100% Inspection Requirements / Coverage. 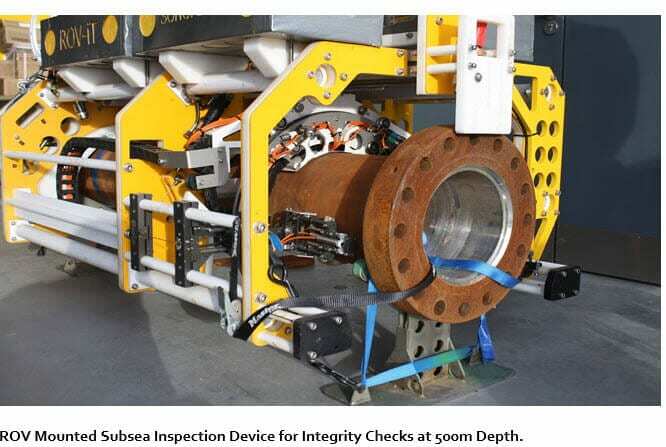 A wide range of Non-Intrusive verification methods were demonstrated, along with discussion of Non-Intrusive Codes such as DNVGL-RP-G103 as further developed by HOIS Joint Industry Project and others.The need for close working co-operation between Inspection Teams and Corrosion Engineers was stressed. Also the importance of post inspection analysis / data review and statistical analysis. 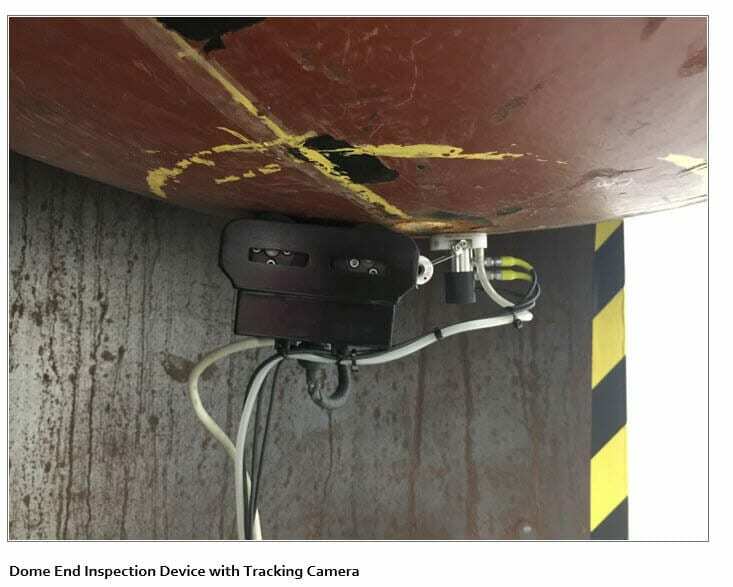 When correctly calibrated and deployed, these specialist techniques provide an extremely useful 3 dimensional record of the completed inspection with all high risk areas highlighted / colour coded according to depth of corrosion penetration / pitting. 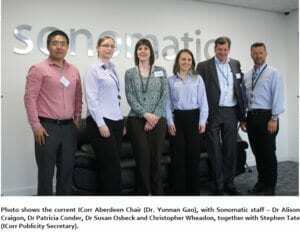 A full tour of the Sonomatic facilities was kindly provided along with an excellent buffet. 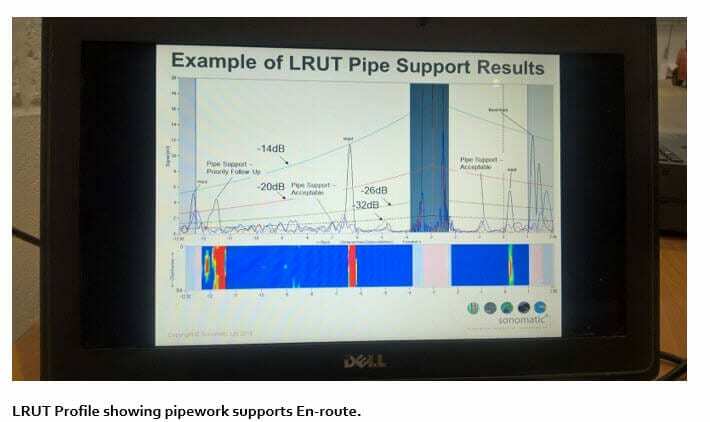 The use of LRUT as an effective screening tool was explained in detail to the audience. Weld locations maybe clearly visualised as high amplitude peaks, as illustrated below. When used properly, LRUT flags up areas showing corrosion activity which require further investigation. This does not necessarily stop at the specific location(s) of the indication(s) detected, but it triggers the operator to perform a higher level of investigation. For instance, if defect indications are detected in sections of straight pipe, adjacent elbows or other fittings may warrant inspection using a complementary NDT technique, e.g. CHIME. Later in the evening the DRS – Dynamic Response Spectroscopy demonstration showed how modern composite coatings / wraps such as Coal Tar Enamel, Neoprene and Multi-Layer Polypropylene could be effectively inspected, highlighting variations in thickness, the ability to detect internal pitting to +/- 0.5mm and any significant coating defects. DRS uses lower test frequencies to deal with these thicker type coatings. At the end of the evening, a vote of thanks was given to all the Sonomatic staff, who contributed to this very successful event. Many of you know that in May 2018 CEOCOR held its Annual Congress in Stratford upon Avon. A significant number of those in ICorr with interests in buried pipelines, their internal and external corrosion mitigation, coatings and cathodic protection attended the Congress. This was the first time in the 62 years since the formation of CEOCOR that the Congress had been held in the UK. Those of you who may wish to know about the history of CEOCOR are encouraged to visit the CEOCOR web site http://ceocor.lu and in ‘Bibliography’ and read the ’50 years of CEOCOR. ICorr and Correx Ltd were responsible for organising the venue, the Exhibition and the Social programme for both delegates and partners. CEOCOR were responsible for the Technical programme. All the bookings were administered by the ICorr/Correx Ltd Office staff. An organising committee chaired by Steve Barke and comprising Sarah Vasey (President), John Fletcher (Immediate Past President), Ross Fielding (Midlands Branch), Brian Goldie (Editor, Corrosion Management) and Brian Wyatt (ICorr and CEOCOR) were responsible for the planning and operation of the Congress. 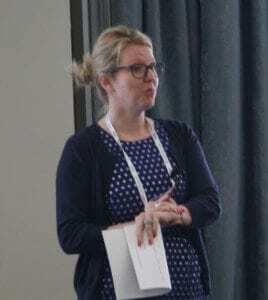 Linda Wyatt was responsible for the Partners’ Programme and two of her ex work colleagues assisted with the registrations and enquires throughout the Congress. I thank them all for their tireless work over many months. There was a dedicated web site for which thanks go to Debbie Hardwick at SquareOne; our President opened the Congress, John Fletcher and Steve Barke were there all the time working to keep it all running smoothly. Thanks are also due to ICorr Council for their support from when this was just an idea and one that might have cost ICorr a lot of money. The Technical Programme was managed by the CEOCOR Secretary General Rene’ Gregoor from Belgium and the two Presidents of Commissions within CEOCOR, Markus Büchler from Switzerland and Tom Levy from Luxembourg. Key Note Speakers were organised by ICorr. Again, sincere thanks are due to all concerned. 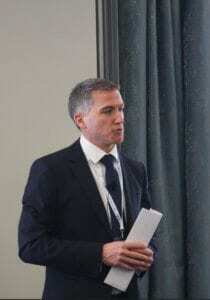 The meeting was opened by Darren Thomas, Asset Engineering Manager of National Grid, who were also the Platinum Sponsors for the Congress. This was an interesting overview of the UK gas transmission pipeline assets, its management and the future challenges within the energy market of the UK. Darren also committed National Grid to the ICorr Training and Certification Scheme for Cathodic Protection Personnel. During the next 2 days there were a further three Key Note Speakers; Peter Elliott (Corrosion & Materials Consultancy Inc.) with an entertaining general paper on pipeline corrosion, Phillip Clisham (GHD) with a very informative paper on the UK water industry pipeline assets and the financial and political constraints for their management and Roger Francis (RF Materials) with a typically comprehensive paper on materials selection for pumps and the need for corrosion engineering expertise at the start of projects, not in the expensive ‘fix it when wrong’ stage. My assessment was that the quality of the papers was, as is always the case with CEOCOR, first rate and that the delivery of them was excellent. Attendees were presented with these in hard copy and electronic formats. They are not available to non CEOCOR Members for 12 months (join for this benefit; it is only Euro 150) but next year they will be publicly available on the CEOCOR website. Before and after the 2 day Technical Paper sessions were the Work Group meetings. These deal with technical issues of interest to the members; most of the European Standards related to cathodic protection of buried pipelines have been developed as pre-standards within these Work Groups. 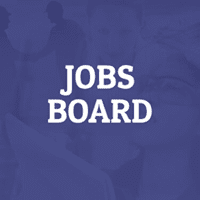 Their completed documents are on the CEOCOR web site. Current work includes CP criteria, reference electrodes, internal corrosion, casings and OFF potential measurements. Members and non members are welcome to participate, there are typically 2 or 3 meetings per year with electronic working between times. The Platinum Sponsor was National Grid. There were 6 Gold, 8 Silver and 5 Bronze Sponsors who also exhibited, there were 4 Exhibitors and a number of Companies also sponsored other elements. All told there were 23 Exhibitors, a record for CEOCOR. One or two thought that they did not have sufficient space, but CEOCOR has always held small table top exhibitions. My thanks go to all of the Sponsors and Exhibitors, without whose support the Congress would not have been possible. Those that I have spoken to directly have all said that this was a success for them. 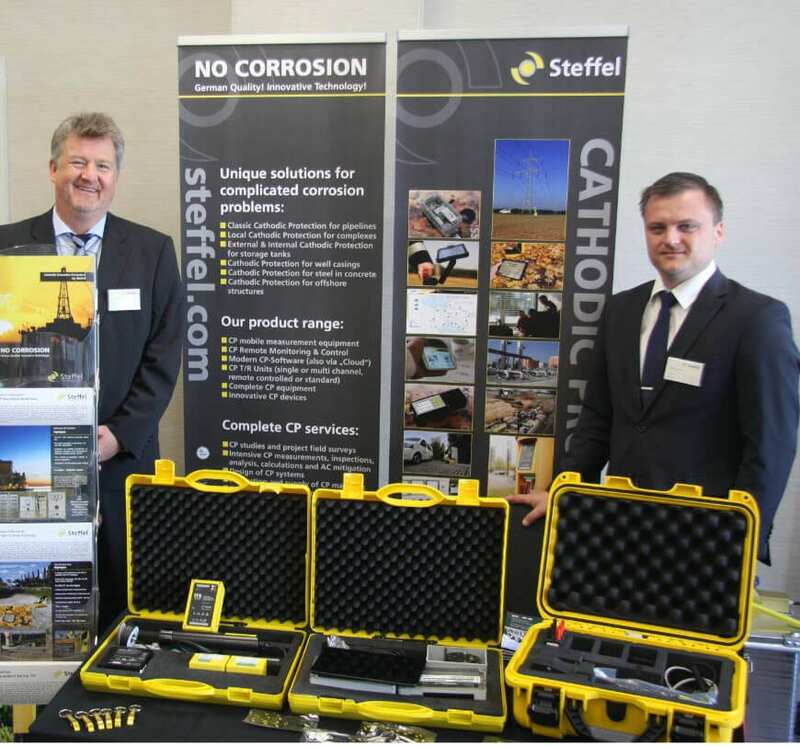 This was not like one of the larger trade ‘shows’; it was an opportunity to display and talk to some of the most senior technical authorities in buried pipeline corrosion in Europe. 100% of the footfall was high quality. Although the prime reason for attendance was work we also had a great time. We had a fantastic Gala Dinner with hilarious entertainment from the Shakespeare Birthplace Trust and some attendees who were prepared to enter into the spirit of Shakespeare and corrosion engineers! 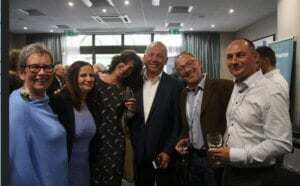 The BBQ, hog roast and Jazz trio was a fantastic networking opportunity. The Partners enjoyed visits all around Stratford and a private tour of Ragley Hall. In total we had over 150 participants; again a record for CEOCOR. But we measure success by the quality and not the quantity; it was a great success. Those of you who were unable to come missed something really special; those of you who were unable to persuade your companies to Exhibit now know how wrong they were … but we had no more room! I hope for more UK individual and corporate members of CEOCOR. 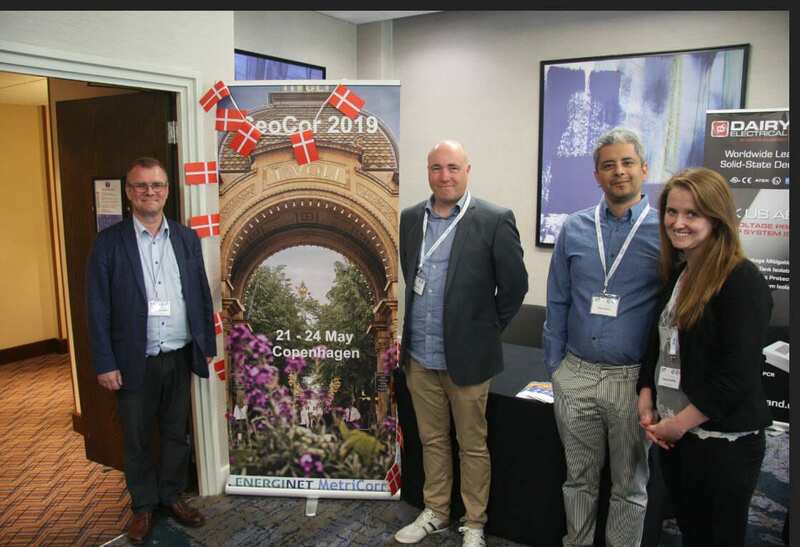 The next Congress is in Copenhagen; see http://www.ceocor2019.com I know that the organising team of Lars Nielsen and Thomas Larsen will be striving to do even better than we managed to do; they are a good team and it is a good venue …. But they will have to work very hard to do better than 2018! The Institute of Corrosion is running a Fundamentals of Corrosion course presented by Dr Jane Lomas. The course will be based on practical information and hands-on examples as well as relevant background theory. 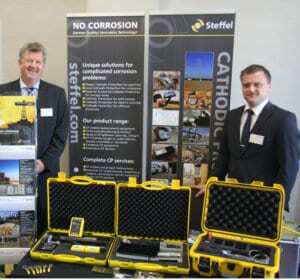 Attendees on the course will be given a wide ranging introduction to all the major aspects of corrosion engineering. The tenth CED Working Day was held on Tuesday 24 April 2018 at The Centre, Birchwood Park, Warrington. Some thirty-nine delegates were welcomed by Chairman, Nick Smart. In addition, there were several exhibition stands, a visit to Wood plc test facilities, and CED Working Group Meetings. 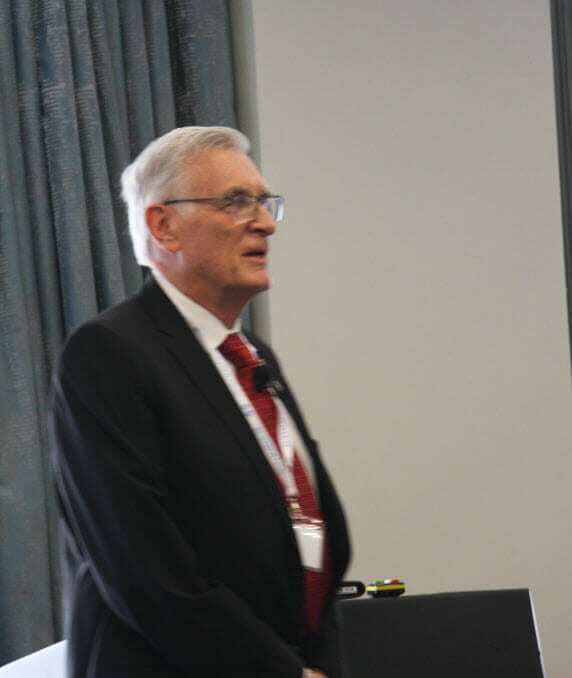 Professor Stuart Lyon (University of Manchester) gave an introductory lecture entitled, ‘Introduction to atmospheric corrosion – mechanisms etc’. Given the large surface areas of materials exposed to the atmosphere, annual losses due to corrosion in the UK are in the order of several hundred million pounds. The atmosphere is one of the most common natural environments to which materials are exposed, however unlike most environments, the atmosphere does not provide constant exposure conditions. Thus, the corrosion rates of similar specimens exposed to the atmosphere have poor reproducibility. The main constituents of the atmosphere are essentially constant, however minor components can affect corrosion rates significantly, for example, the concentration of water vapour can vary over a large range. Three primary sources of air pollution are, volcanic action, vegetation and animal wastes, however sea-spray and dust from the earth also need to be considered. Pollutants are also classified as gaseous, particulate or aqueous (dissolved in rain) and man-made atmospheric pollution includes that from burning fossil fuels, chemical processing, sewage treatment and farming. Stuart went on the explain climate effects, macroclimates and microclimates, and that ISO 9223 provides a classification scheme for ranking pollution in a particular climatic location, which is based on the deposition rates of SO2 and Cl-. Atmospheric corrosion only proceeds when sufficient water is present to solvate ions generated during anodic and cathodic reactions. By definition, at 100% Relative Humidity (RH) condensation occurs. Metal corrosion cannot occur unless there is sufficient liquid water on the surface. The time during which RH exceeds a critical value is defined as the ‘Time of Wetness’ (TOW) and ISO 9223 also includes a scheme for ranking a particular climate in terms of TOW (hrs/year). The standard also provides a classification scheme for the ‘Corrosivity’ of an environment, based on the expected annual corrosion rate over 1 year. Finally, specific mechanisms relating to the atmospheric corrosion of iron and zinc were outlined. Richard Bewell (Engineering Manager, BAM Nuttall) gave a presentation on, ‘Atmospheric corrosion prevention in the windpower industry’. The ‘Blyth Demonstrator Project’ (located about 5.6 km off the North-East coast of England at a water depth of about 38m) has five 8.3 MW turbines, capable of supplying power to 34,000 homes, with a design life of 26 years, and commercial operations commenced in October 2017. The design is essentially a monopole with a heavy reinforced concrete base approx. 30m diameter x 1.1m deep and using over 1,800m3 of concrete with over 500 tonnes of steel reinforcement per foundation. The towers comprised steel shafts, 60m high x 7.5m diameter with a wall thickness of 70mm. For protection in the splash zone and for atmospheric exposure, Norsok C5M specification was applied. 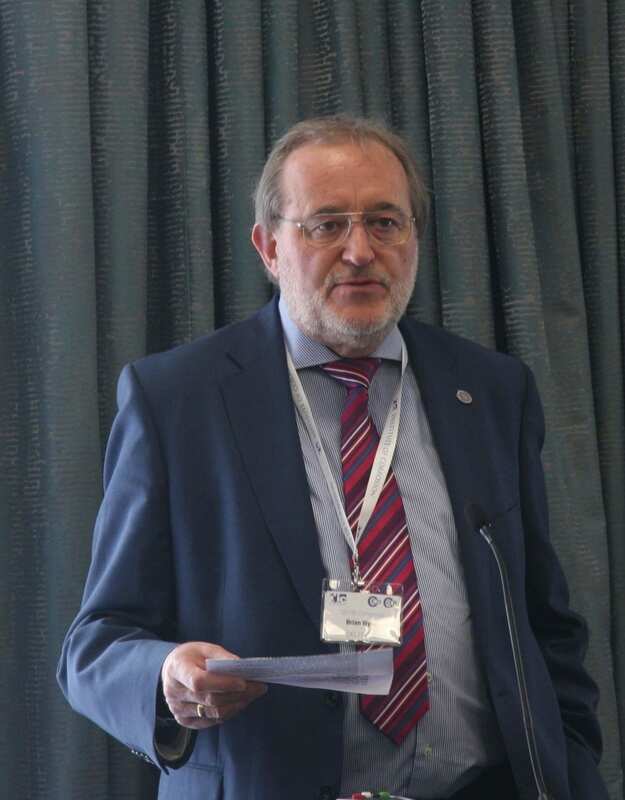 Cristano Padovani (Wood plc) addressed, ‘Modelling the corrosion behaviour of intermediate level radioactive waste (ILW) containers during prolonged exposure to atmospheric conditions’. The stages involved in waste management are, immobilise and containerise, interim storage, transport to an underground geological disposal facility (GDF) and utilise man-made and natural barriers to prevent/minimise release. The atmospheric corrosion of the stainless steel containers, used for medium- and long-term storage , is induced by chloride-containing aerosols, generated by hygroscopic chloride salts on surfaces. Temperature and relative humidity (RH) determine electrolyte characteristics (e.g. concentration) and hence, corrosivity. The factors investigated were, environmental and corrosion monitoring, pit initiation, and mechanistic and SCC initiation studies. Temperature and humidity fluctuate daily and have seasonal variation for above-ground facilities, but are typically more stable underground. It was found that MgCl2 and CaCl2 were inherently much more corrosive than NaCl (especially with regard to SCC), and that high enough RH can lead to dilution of corrosive ions and prevent initiation or cessation, and that SCC initiation was severely inhibited by induced surface compressive stresses. Mechanistic studies in bulk solution indicated that, under polarization, follow kinetics such as, D = A tn, where D=pit depth, A= a constant, t= time and n is an exponent. Furthermore, it was found that SCC propagated very fast after an ‘apparent’ incubation period. A Parametric model – Atmospheric Corrosion of stainless Steel in Stores (ACSIS) was developed, comprising three basic modules, environmental (is the surface wet ? ), corrosion initiation (does corrosion initiate ? ), and corrosion propation (if so, how much damage results ?). The Laycock-White-Krouse (LWK) mechanistic model was described and used to relate pit depth as a function of time for high RH’s and different chloride surface concentrations. ‘Assessment of corrosion under insulation and engineered composite wraps using pulsed Eddy-current techniques’ was described by Bill Brown (TRAC Oil and Gas Ltd). This presentation touched on the NDT aspect of atmospheric corrosion. Corrosion under insulation (CUI) is possibly the greatest unresolved asset integrity problem in industry. Current methods for measuring wall thickness under insulation, without removing it, all have severe limitations. In total, there are three eddy current devices available for this. 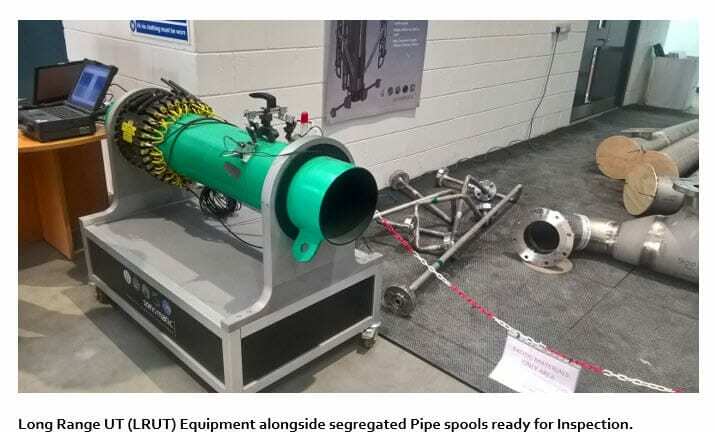 However, TRAC evaluated the recently-introduced ‘Lyft’ – a high-performance reinvented pulsed eddy current (PEC) technique) and also Maxwell produced PEC equipment. Although radiography may also be used, it is generally limited to 6 in. diameter pipework, and computer-aided tomography has also been used. A combined PEC and digital radiography technique was developed by Shell in the early 1990’s. A simplified working model of PEC was described and that the concepts of footprint and average area of a probe are key to understanding what a PEC can and cannot detect. The footprint is affected by the size of the probe and the distance from the component or structure being examined from the probe. The footprint is of utmost importance, as it is the decisive factor in determining the dimension of the inspection grid, edge effect and the smallest volume or defect. Nine case histories using this technique were then given. Professor Geraint Williams (Swansea University) addressed, ‘Preventing corrosion of galvanized steel in the non-chromate age’. The EU has set a ‘sunset’ date of 2019 for the replacement of hexavalent chromium corrosion inhibitor. The problem of how the performance of new inhibitor pigments could be quantified under atmospheric corrosion was raised. 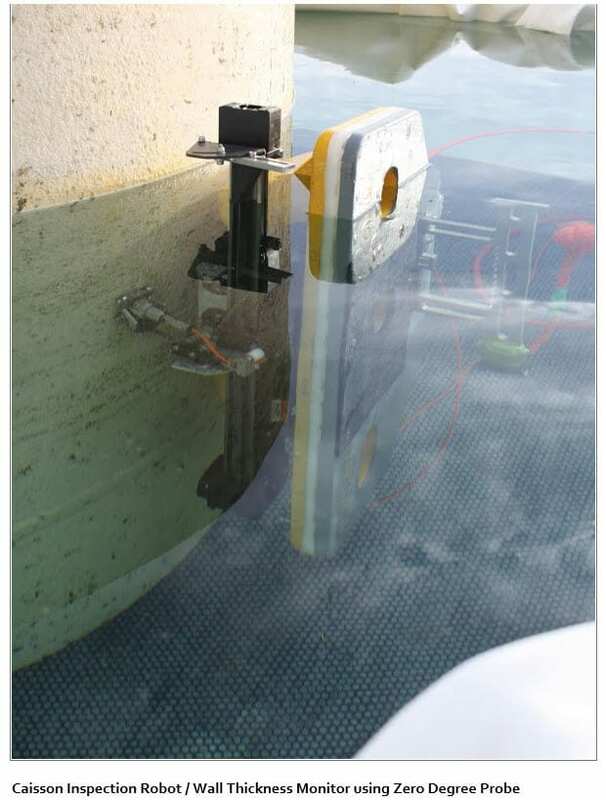 Methods included, external weathering, accelerated salt spray and EIS (immersion in corrosive solutions). Assessment of organic coatings carried out at Swansea University included the use of a Scanning Kelvin Probe (SKP). This involves the use of a reference electrode in a test chamber, without physical contact – i.e. not in a ‘bulk’ electrolyte, providing a ‘spatial map’ of corrosion potentials. Ion exchange materials are promising chromium-free anti-corrosion pigments, in which ‘smart release’ inhibitors are only released whenever a corrosive environment is encountered. ‘Hydrotalcite’ is a layered double hydroxide of general formula Mg6Al2CO3(OH)16.4H2O. The carbonate anions that lie between the structured layers are weakly bound giving the material anion exchange capabilities. Inhibition arises by the sequestered aggressive Cl- ions being exchanged for less aggressive ions. The action of this ion exchange mechanism was studied on hot-dip galvanized steel by SKP. The use of benzothiazole inhibitors as a non-chromate alternative was also mentioned. The mechanism is to stifle the underfilm oxygen reduction reaction. Finally, the next generation of Zn-MgAl alloys for galvanizing was introduced. These are very heterogeneous, comprising a three phase material. John Broomfield receiving the Paul McIntyre Award from Sarah Vasey. 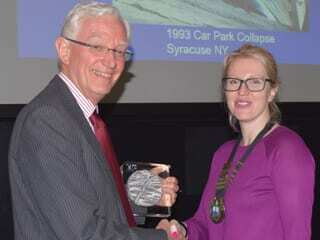 The second annual Paul McIntyre Award was presented at the meeting to John Broomfield, by Sarah Vasey, President of The Institute of Corrosion. This Award is presented to a senior corrosion engineer, over the age of 30, who as well as being a leading practitioner in his field, has advanced European collaboration and international standards development (in keeping with Paul’s area of interest). Recipients must have established an international reputation in the field of corrosion engineering. John had originally a background in spectroscopy and applied these studies to monolayers on steel surfaces. Later, he worked on problems with PWR reactors in the UK, later transferring to Taylor Woodrow and subsequently carried out work on concrete pre-stressed pressure vessels. Some very interesting slides on the pioneering work he was involved with were shown. At the close, Nick Smart thanked the speakers, the delegates for attending the working day, Wood plc staff for the conducted tours of facilities, and the exhibitors, for a successful and enjoyable event. Editor’s note: Text copyright: David Nuttall, released under CC-BY-NC.